Distraction osteogenesis has become an important clinical tool in craniofacial surgery. Initially applied to lengthening of the human mandible , the technique has subsequently been used to reconstruct all components of the craniofacial skeleton, including the maxilla, zygoma, and cranial vault. 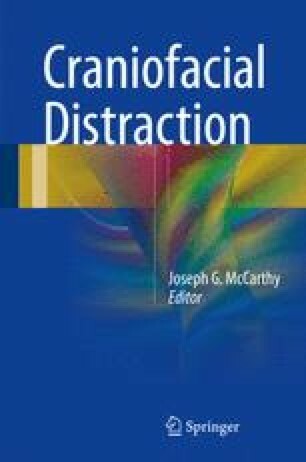 One of the most beneficial applications of distraction has been advancement of the midface in patients with cleft lip and palate, midface hypoplasia, and craniosynostosis syndromes.